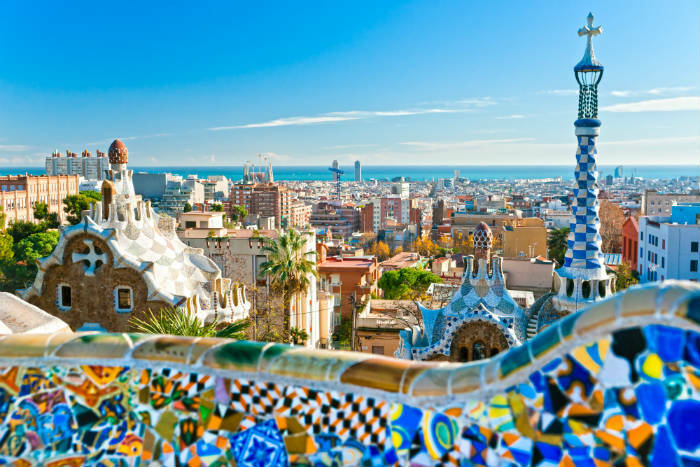 One of Europe’s most beautiful cities, Barcelona is a popular destination all year round. From the hot and sultry summer to the fresh and inspiring winters, there’s not a season in the year when this city isn’t stunning. If you’ve not been before, or even if you have, here are 10 reasons to love Barcelona. 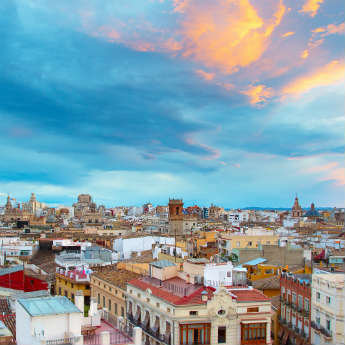 From delicious tapas to the even more delicious gelato, Barcelona’s foodie scene is on point. 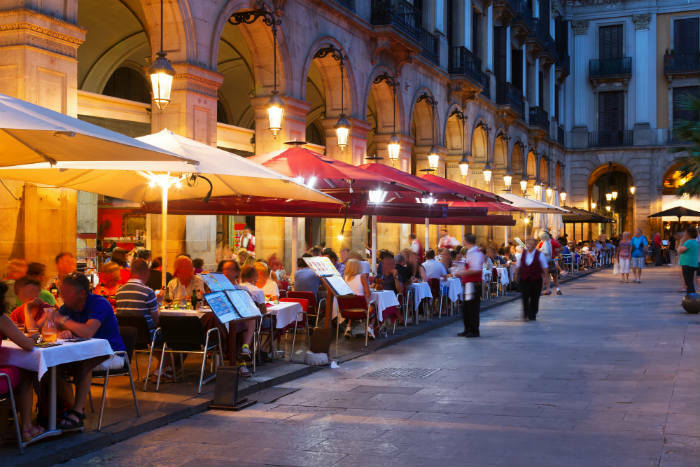 There are many restaurants down popular streets like Las Ramblas but head into the winding back streets to discover local eateries that have a true Barcelona vibe and are slightly cheaper too! 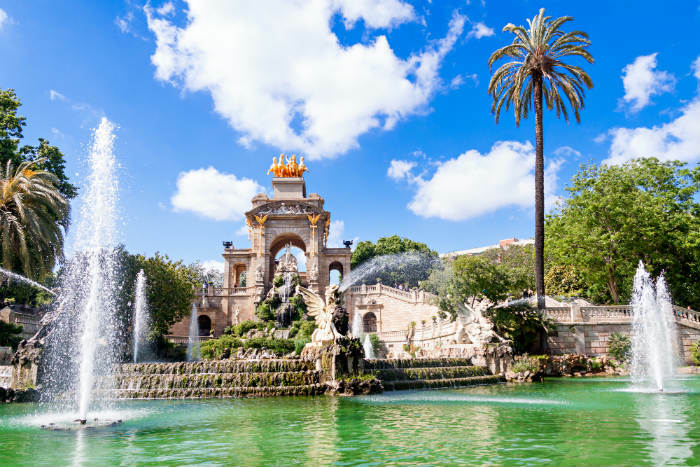 From Parc Guell to Parc de la Ciutadella, Barcelona’s parks offer a refreshing and peaceful break from the streets of the city. 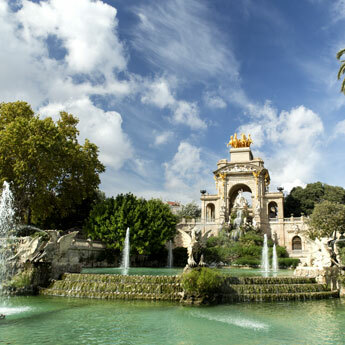 If you’re into beautiful landscapes and unique art, Parc Guell is not one to miss as it is home to a lot if Gaudi’s most popular art work and design. Barcelona is an amazingly easy city to navigate. The Metro, Barcelona’s equivalent to London’s tube system, is clean, efficient and connects all of Barcelona’s main sights so that you don’t have to walk everywhere if you don’t want to. You can buy single tickets for each journey you make or to save a bit of money, you can buy a 10 trip ticket for just over £8. Even if you’re not an art buff, it’s hard to escape the influence that artists like Antoni Gaudi and Joan Miro have had on Barcelona’s landscape. You don’t even have to go into an art gallery to see their work as it’s an integral part of the buildings and parks in Barcelona where your surroundings are littered with colourful mosaics and abstract sculptures. Did you know that Barcelona has over 10km of beaches? That’s right, as well as being a city break destination, there’s also a lot of things to do around the city’s coastline. Grab a surfboard and catch some waves, soak up the sun or enjoy a bit of tapas while overlooking the ocean! The most popular beach is Barceloneta but wander further up the coast and you’ll find peaceful parts of the coastline that are perfect for a relaxing day on the sand. Barcelona is well known for being the home of the magnificent La Sagrada Familia, an structure that still won’t be completed for a few more decades and is just as much a piece of art work as it is a cathedral. It’s worth booking tickets in advance if you don’t want to queue or alternatively, you can always visit Barcelona Cathedral in the Gothic Quarter which has a pretty square inside filled with fountains and geese. Communal space which are surrounded by cafes and restaurants, Barcelona’s squares are a great place to grab a coffee or cocktail and just soak up the atmosphere. One of the best is just of La Ramblas and is called Placa Reial. This huge square is dotted with palm trees and beautiful, classic, Barcelona style buildings. It doesn’t matter what kind of shopper you are, whether you prefer independent shops. High street chains or designer labels, there’ll be something for you in Barcelona. One of the main shopping districts is just off Placa Catalunya or alternatively you can find individual outlets while wandering around the back streets. One of the most famous markets in Barcelona is La Boqueria, a huge good market that has colourful stalls serving up exotic fruit, homemade sweets and chocolate, dried fruit and lots of cured ham. Come here on an empty stomach because you’ll no doubt be tempted by the small tapas bars dotted around the market! 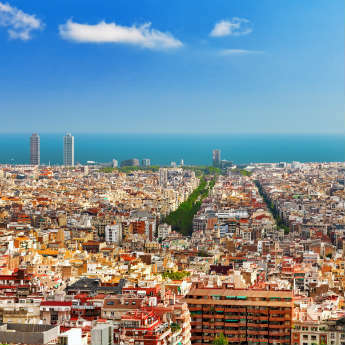 If you want a panoramic view of Barcelona’s terracotta roofs and glistening Mediterranean ocean, there are many places in Barcelona to get that view point. From the top of Montjuic to the look out at Parc Guekk, if you want to get a sense of the size of Barcelona, or maybe you just want a good photo, these are two of the best places to see Barcelona from almost a bird’s eye view.